This card would suit any occasion when you want to tell someone that you love them. 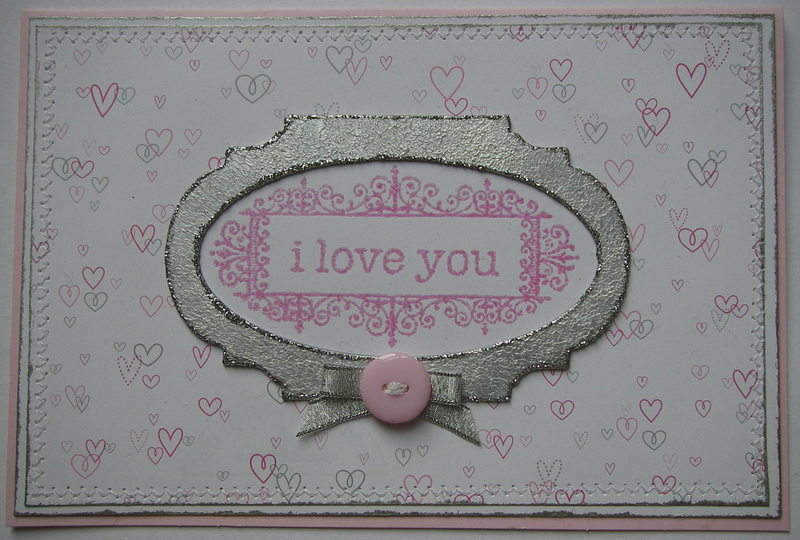 OOAK One of a kind handmade Valentine's/Anniversary/I Love You card. The card has a white, pink and silver colour scheme. Blank insert for your own message. Contained in a cello wallet for protection.